Donald Trump said that anyone doing business with Iran will not be doing business with the US. Via Twitter, he said that sanctions imposed on Tehran were "the most biting," adding that he's asking for world peace. In response, Iran's President Hassan Rouhani accused the US of using "psychological warfare," aiming to "sow division among Iranians." Sputnik: The European Union has announced counter-measures against the US sanctions on Tehran, in your view will this move be able to prevent an exodus of European companies from Iran? Dr. Ludwig Watzal: I'm very skeptical. The EU has revived its so-called blocking statute, originally drawn up in the 1990s, against US sanctions against Iran, Libya, and Cuba. The blocking statute prohibits European companies from complying with the US measures and allows them to recover damages arising from the sanctions. If enforced the statute will make compliance with the US sanctions illegal. I think these counter-measures will not prevent the exodus of European companies from Iran. This exodus has already begun. The French oil giant Total has already canceled its contract with Iran, so did French automakers. Also German companies such as Siemens, Mercedes, and BMW, I assume will follow suit. Only European small businesses which do not have strong business contacts and ties to the US can afford to trade with Iran. Europe's big companies I guess will all leave the country very soon. Sputnik: Mike Pompeo warned that Washington plans to enforce its sanctions on Tehran, what mechanisms can it use to achieve that do you believe? Dr. Ludwig Watzal: I think the US is going to try to bully Iran into submission while pressuring European companies. The announcement of pulling out of the nuclear deal has already had a negative effect. Economic growth in Iran went down over 6%, before the announcement the economic growth was around 6%, inflation went into single digits and the standard of living increased. After the US pulled out of the deal the Iranian currency, the rial; plunged officially over 20%, on the black market I think it's even more. Trump's aggressive rhetoric had already intimidated many companies, whether they will live up to that rhetoric of the European Union remains to be seen. Rhetorically speaking, I think, the EU always talks big but when it comes down to basics they show the white feather. Sputnik: Germany, France, and the United Kingdom said they will stand by the Iran nuclear deal; will that help salvage the agreement in your opinion? Dr. Ludwig Watzal: I'm skeptical about the ability of the Europeans to save the nuclear deal in the long run; whether the EU can live up to its own rhetoric remains to be seen. The Trump administration will use any tool available to coerce the European partners to go along with US policy. He has so many tools available. For example, like the pressure over NATO, which could be seen after the last NATO meeting, that the Europeans were willing to increase their pay to the organization. So there are so many tools the US has that the Europeans just in the end can't avoid to comply with it. Sputnik: What's your thoughts about Iran and whether it is prepared to negotiate a new deal with President Trump like he has suggested, what's your take on this? He's really ratcheting the pressure up; do you think they're going to submit to his demands? Dr. Ludwig Watzal: I doubt it. I hope they won't. Trump's offer to meet with the Iranian president and start talks without preconditions, in my opinion, is a trap. The US violated an agreement as the only one signatory. They have been defaulting and dropped the words. The Europeans have so far rejected negotiating, renegotiating the nuclear deal, but the US will not only broaden the subject but also want to get more countries aboard, perhaps, even Israel. The US sanctions saw the rationale of the US will finally work because it will punish the companies that do business with Iran. Sputnik: What will happen to the Iranian economy after another round of sanctions come into force in November? Is there a certain amount of inevitability about this, other experts are talking about the opportunity of increased purchase of oil by China and also possibly India, are you in agreement with that? Or is it just basically small change as compared to the ultimate damage that's going to be affected here? Is Trump Bleeding European Companies White Because of Iran? Dr. Ludwig Watzal: Well, the damage is already done and will increase. Economically speaking these November sanctions mean that sanctions on the oil industry will have a more harming effect than the current ones. 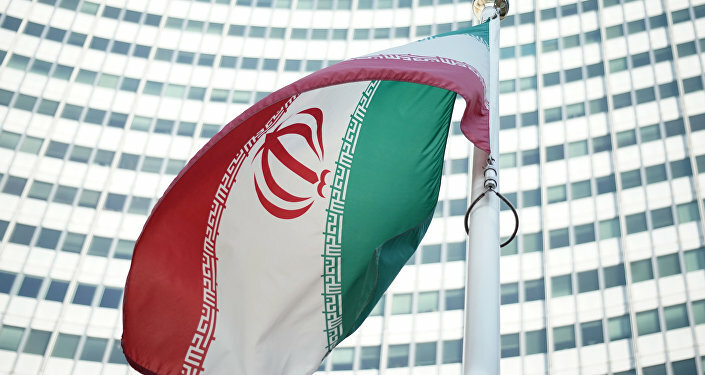 Foreign investments will further decrease; European banks will reject giving any loans to investors to invest in Iran for fear of drawbacks from the US. So the economy will further decrease. One can understand these crippling sanctions since Trump pulling out of the nuclear deal without considering the elephant in the room — the state of Israel. We have to remember that under the Obama administration Netanyahu and his then-Defense Minister Ehud Barak tried everything they could to attract the US to attack Iran. But, as you perhaps remember, that the former Israeli intelligence chief, like for example, Meir Dagan, tried to hinder it by saying it's the most stupid thing to attack Iran. So together with the US military, they could prevent the United States from going to war with Iran. Today, it's a different story; the US has a president who wants to undo everything Obama achieved. The views and opinions expressed in the article are those of Dr. Ludwig Watzal and do not necessarily reflect those of Sputnik.